Fourteen years after arriving in London from Italy, Domenico Di Tommaso – Dom to his friends – is breaking through and finding success in the music business as a studio owner and label boss. The studio is located in Lancing in West Sussex and when we spoke to the enthusiastic and highly energetic Italian entrepreneur finishing touches were being completed at the studios and label offices before the first recording sessions get underway in late September 2014. 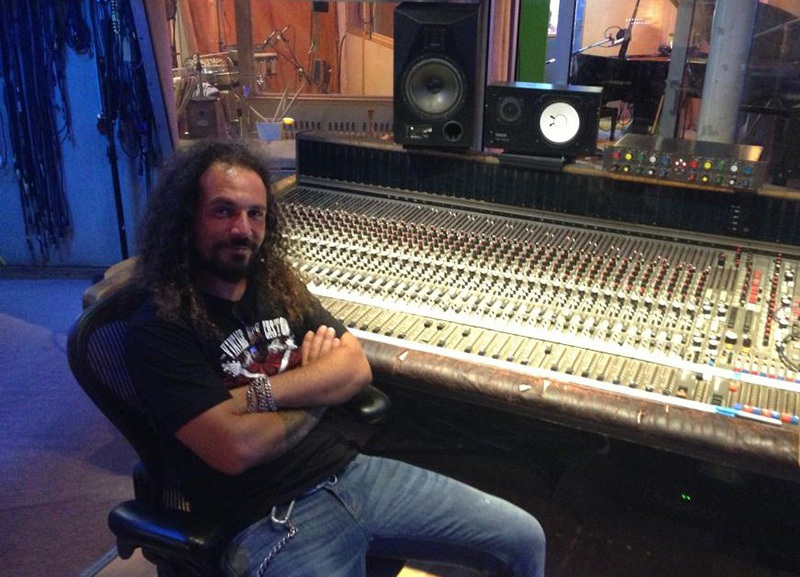 Dom is well known in the music business as a studio producer and live music engineer. He found himself a home in 2003 at Eastcote Studios in West London, initially as a studio assistant and then as an engineer. Founded in 1980 Eastcote Studios is one of London’s most famous and iconic studios and it proved to be an ideal training ground where he could channel his enthusiasm for music by perfecting his skill for capturing performances in the studio. Eleven years later, Dom is making the leap into owning his own studio and at the same time launching his own label called Odd Machine Records. We asked Dom what the most significant music business challenge was for him in making the leap from studio and live engineer to producer, studio owner and label boss. ‘To do this I knew I needed to find a course that could teach me about a wide range of subjects across the music business.’ After some searching and he says, a bit of a shock at the cost of some courses, he discovered and turned to The Music Business School which is based at the Tileyard Studios, Kings Cross London N7 9AH. Dom is now beginning to use the first-hand knowledge he received from many of the Music Business School’s guest speakers to plan his label’s first release, recorded of course at his new studios. ‘The guest speakers experience is invaluable.’ as they give you insights into marketing, legal, royalty collection and much more. Also, course leader Steve Melhuish who has been teaching music business all his life really knows how to get the information across to students. Although Dom graduated from Music Business School and is now enjoying success in the music business, he’s continued to receive support and advice from the school with Steve Melhuish putting him in contact with key industry personnel where and when needed. We wish Dom every success and we can’t wait to hear those first new recordings. A course at Music Business School in London can help you no matter what the previous level of experience you have. They’ve helped artists, managers, new label owners and many, many more to gain a fuller knowledge of the music business. The next course at Music Business School is starting soon. Make an enquiry now about a full MMBE qualification or even a single unit of study. Also read succeeding in the Music Industry.